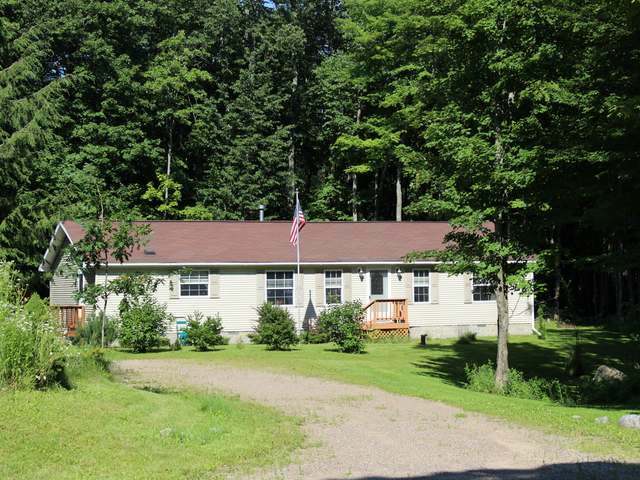 GREAT LOCATION ON 6.38 BEAUTIFULLY WOODED ACRES! THIS WELL KEPT HOME 3 BEDROOM, 2 BATH WITH CATHEDRAL CEILINGS, OPEN CONCEPT WITH DECK OFF THE LIVING ROOM, FIRST FLOOR LAUNDRY, MASTER BEDROOM HAS A LARGE WALK-IN CLOSET WITH ENSUITE BATHROOM, WHIRLPOOL TUB & SEPARATE SHOWER. STAY NICE & COZY ON THOSE COLD WINTER NIGHTS WITH THE GAS FIREPLACE. OVERSIZED GARAGE TO KEEP YOUR VEHICLES, BOAT AND/OR UTV&apos;S, PLUS SHED. ENTERPRISE LAKE BOAT LANDING IS JUST DOWN THE ROAD, SO YOU&apos;LL HAVE ACCESS TO ONE OF THE NICEST LAKES IN THE AREA! YOU WON&apos;T HAVE TO TRAILER YOUR ATV OR SNOWMOBILE, AS THE YOU CAN ACCESS THE TRAILS FROM THE ROAD! MOTIVATED SELLER! MAKE AN OFFER!